Home » SCOTS DG CROWNED ARU COMMUNITY CUP CHAMPIONS » SET! Both sets of forwards enjoy the warmth of a scrum! SET! 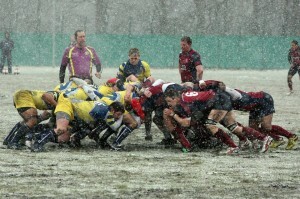 Both sets of forwards enjoy the warmth of a scrum!